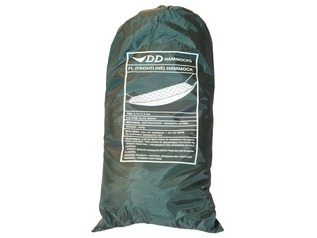 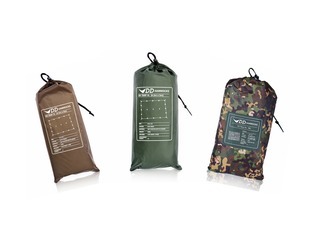 For those of you who enjoy wild camping comes the new DD Tarp M, which has been designed and manufactured by DD to accommodate the needs for many hammock users who require a tarp which is longer, but not quite a broad as the DD 3x3 Tarp. 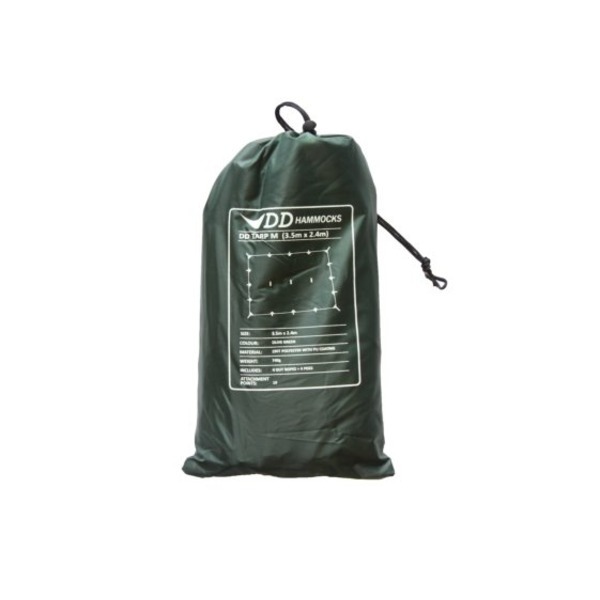 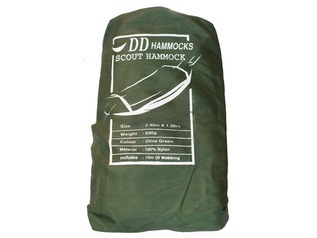 The end result of the new design is the Medium-sized DD Tarp, which offers the added length, but comes in at a lighter weight due to the removal of some of the material, making it perfect for trekkers and hikers. 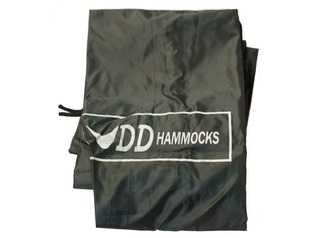 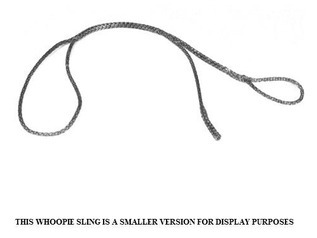 This DD tarpaulin measures in at 3.5m in length, and just 2.4m in width, but still incorporates 19 exceptionally strong and very tough attachments points which allows for more flexible set-ups. 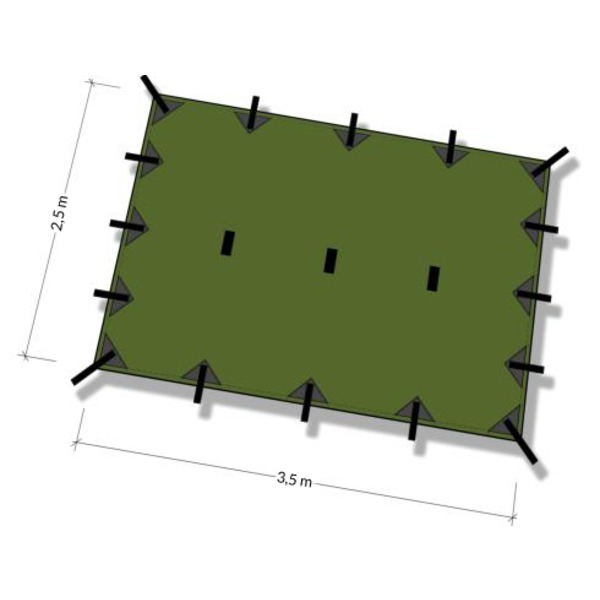 Along the edges of this high-quality camping tarp are 12 reinforced attachment points, 4 reinforced corners attachment points and 3 ridgeline loops running along the centre of the tarp. 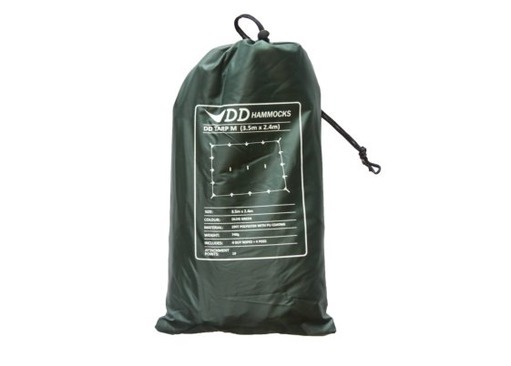 The DD Tarp M will offer less flexibility in terms of set-up options than the 3x3 tarp (also by DD) that we offer, but it certainly fits the requirements of a much needed spot.